Over the last couple of weeks we spoke to human resource professionals, counselors, and a whole bunch of employees about high pressure environments at the workplace. We asked them about ways of navigating through stressful situations. There is no surefire way to handle stress. You need to find your own individual strategy and solution - a mantra that can help you survive and steer clear of difficult situations. How you react within a difficult situation is a good measure of how constructive you will be in finding a solution. Talking to a counselor can offer you a lot of comfort and direction when you really need help. Sometimes you can use team effort to handle stress. Stress can slowly, yet steadily impact work, relationships, productivity and efficiency. If your entire work team is in a stressful situation it helps to put your heads together to work on a solution. There’s strength in numbers, and somehow the whole burden seems lighter. There are times when the triggers of stress appear to be far more menacing than the actual complexity of the situation. You need to recognize the symptoms to make a fair assessment in terms of perception and reality. You also have to evaluate how you normally react to a particular situation. In other words, you don’t need a sledge hammer when all you need to do is swat a fly. This is also possible. There could be times when your reaction to a stressful situation is muted and does not match the impact potential of an imminent problem. In other words, you can only see the tip of the iceberg, with larger issues out of sight, and beneath the surface. And like the popular saying goes – what you can’t see, can hurt you. Very soon, you might hear alarm bells ringing in your mind – indicating that the time’s come to take things in hand. The important takeaway in this exercise is that you don’t need to reach your tipping point – you must find ways to recognize and read the signals. It also helps to make a simple road map to fight stress in a constructive manner. Here again, professional help from a counselor can be invaluable. Schedule happy hours during particularly stressful days at work. While Happy Hours is a good starting point, there are times when you need to be far removed from the epicenter of stress. You need to be at a getaway kind of place that calms the mind and soothes the body. AIRDA member resorts offer you plans that can deliver the time of your life at some of the most exciting holiday locations in India. Timeshare is a good way to introduce a planned vacation into your calendar – something you and your family can look forward to, every year. 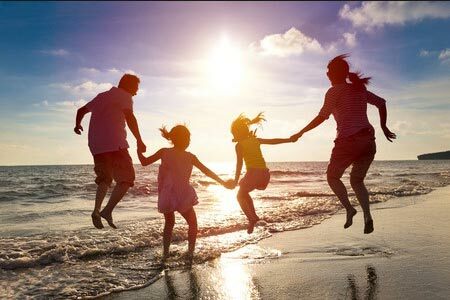 The timeshare format also allows you to holiday with your entire family – sometimes with your extended circle of friends as well. Perhaps the best thing about timeshare is the really long relationship with your home resort. And this could be 25 years in most cases. While hotel tariffs can sky-rocket in two-and-a-half decades you’re pretty much insulated within your timeshare plan – even from inflationary trends. Within the AIRDA network you have options to exchange your holiday week with another member resort in the country. You can also exchange your holiday week through our global exchange partners – where you can pick a resort practically anywhere in the world. So please read this article once again, if possible – maybe during your happy hours. You might just discover a wonderful way to tackle stress. You’ll find AIRDA’s member resorts at this link – and we think you’re bound to find something that’s just right for you.